Most nineteenth-century American colleges did not admit women. However, female academies and seminaries provided elite women with a comparable alternative. These schools offered courses in a diverse array of subjects including Greek and Latin, natural philosophy, astronomy, chemistry, mathematics, and botany. The Lehigh Valley was home to two notable educational institutions for women, the Moravian Young Ladies Seminary (now Moravian College) and Allentown Female College (now Cedar Crest College). 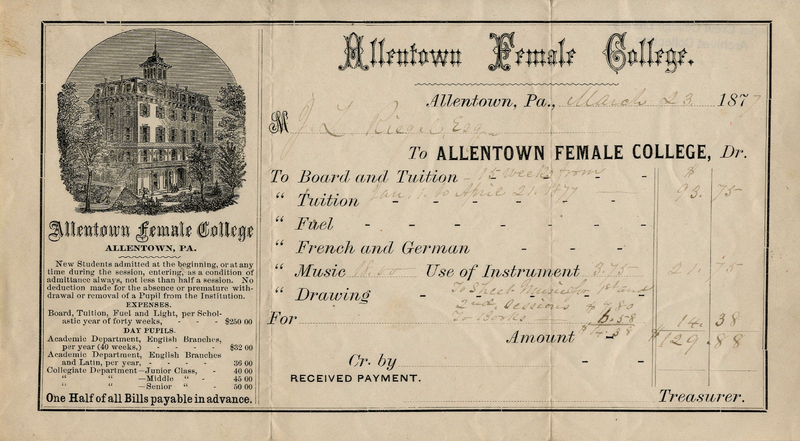 Designed to be a sister institution to nearby Muhlenberg College, Allentown Female College was founded in 1867. The college opened with nine students, but only a year later had grown to thirty-seven. Despite its name, the school catered to women and girls of all ages, from primary school to the collegiate level. In addition to pursuing a traditional classical education, students could also take classes in music, painting and drawing, and embroidery. The college conferred its first degrees in 1895. The Moravian Young Ladies Seminary opened in Bethlehem in 1749, making it one of the oldest schools for women in the United States. During most of the eighteenth and early nineteenth centuries, the school focused on primary education. 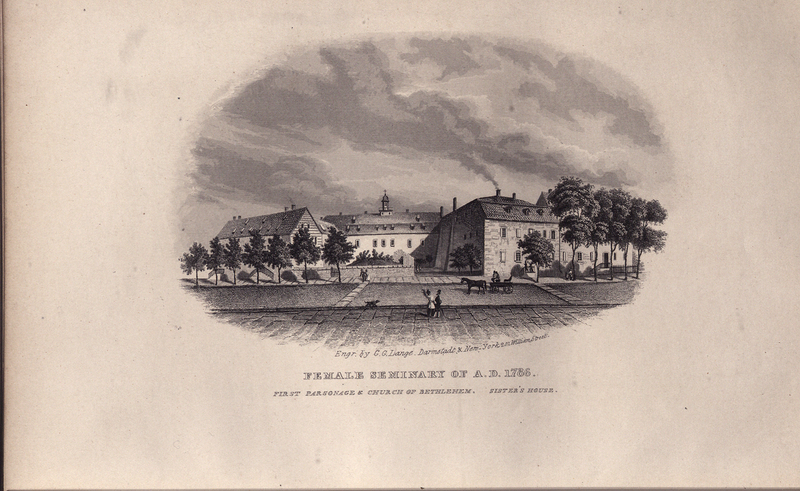 It was not until 1865 that the the Seminary began to offer college-level courses to students. The Seminary conferred its first degree in 1913.